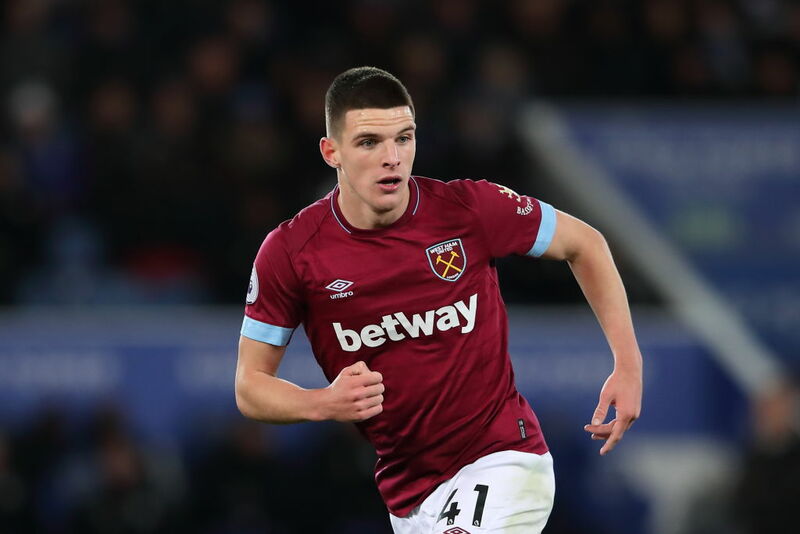 Manchester United are reportedly keen on signing West Ham midfielder Declan Rice as The Hammers face a battle to keep the 19-year old at the London Stadium. The Daily Express are reporting that Mourinho is a big fan of Rice and that United have joined a host of other big European clubs who are interested in the midfielder. Rice is currently on just £3,500 a week at West Ham and recently turned down their latest offer of £20,000 a week in a contract dispute between the two sides which has gone on for a number of months now. The 19-year old has been one of West Ham’s standout performers in the Premier League this season and there are fears that he could leave the club over the contract dispute with the Express also outlining that the likes of Arsenal, Liverpool, Chelsea, Everton and Borussia Dortmund are all interested in his signature. Rice has also recently been caught up in an international tug of war between Gareth Southgate’s England and Martin O’Neill’s Ireland. 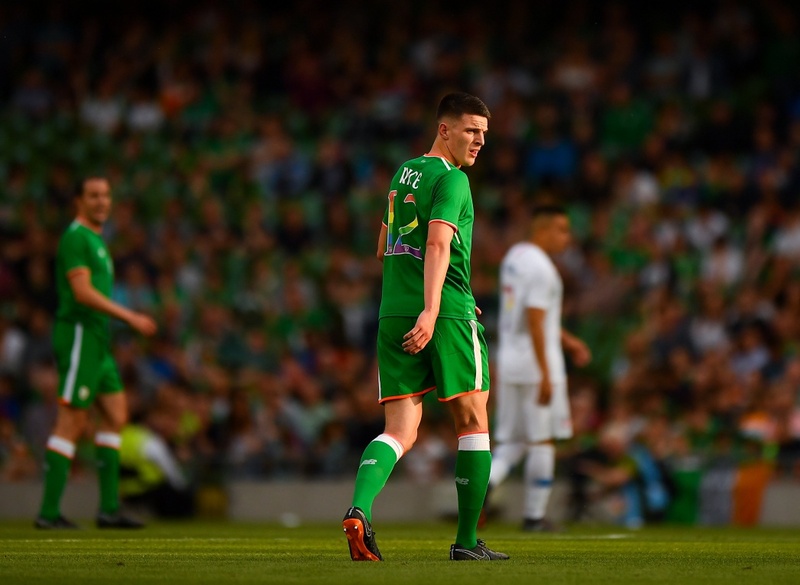 The West Ham man had previously made three friendly appearances for Ireland but was not called up to the squad in August as O’Neill explained that he was in fact still deliberating over his international future. Rice has still yet to commit to either Ireland or England but there had been thoughts that he would leverage the potential of being an England international in his contract discussions with West Ham, however, it appears that has not occurred. Mourinho could certainly do with an injection of youth in his side and Rice, who can also play in the heart of the defence, would be a versatile signing who could have a big future at Old Trafford should he decide to move to the Manchester club.